Our innovative CD package is produced with the latest technology. The interactive practice exam CD features 80 question practice exams, pulled from a randomized pool of over 400 questions, giving you a new test every time! 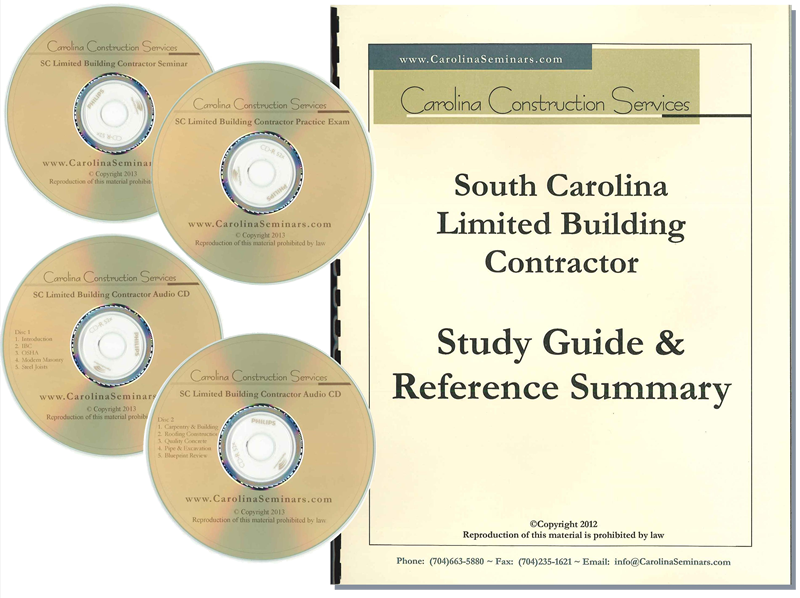 This course is specifically designed to help you pass the South Carolina Limited Builder Contractor Exam and obtain your South Carolina General Contractors License the first time.